Today I made a card using two challenges. 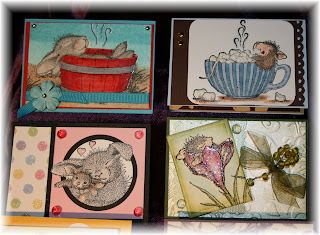 The first one was the Wednesday SCS "Sketch Challenge" (SC226) and the second one was"Feeling Sentimental" (CSSC66) - in the Crafty Secrets forum of Splitcoaststampers. This card has a removable Vintage Brooch. It's like two gifts in one. 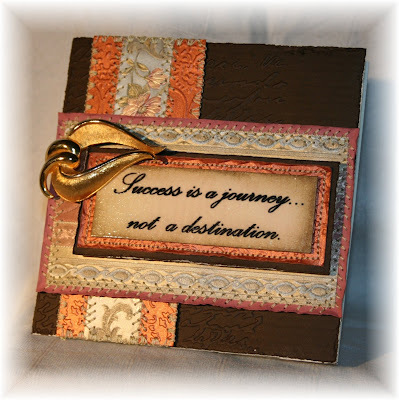 I used the ole' "Foot File" technique on the edges of the card stock, detailed sewing, cuddlebug on the background paper, distressed inks and clear embossing on the sentiment. I have a lot of projects in the works, and I hope you stick around for them. You will not want to miss what is coming to "priscillastyles" blog soon. Ok.. back to work. Hold someone's hand today :) it just feels good!! As promised, I finally took pictures of my ATC Swaps, I just love each and every one of them. 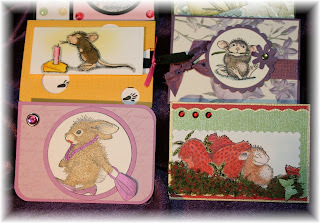 This swap was for ATC’s (2 ½ inches x 3 ½ inches) featuring the Stampabilities lines: House Mouse, Griffies or Happy Hoppers. These little guys were so fun to work on. 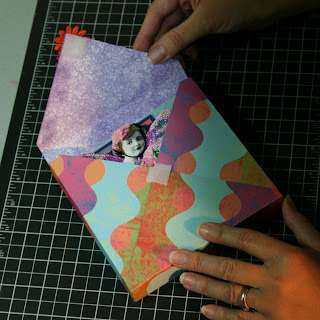 Your swap must have had on it, at least two layers of quality card stock and at least one embellishment. Each slot was an 8 + 1 swap. You send in 9 ATC’s and you get 8 back. The 9th one goes to the hostess. I only entered for one slot. There were 21 participants. I wish I would have taken two slots. LOL they are just so darn cute!! I think this may be another addiction of mine. LOL I wanted to thank the Ladies over at SCS for welcoming me into their swap with open arms. They are such a nice group of talented ladies. Tina, thanks for inviting me to play and a special thanks to Joanna, our swap hostess. She had the task of organizing this and picking out the top two of the swap. Lucky me, my very first swap and I got co-top pick. Thank you Joanna for my lovely prize :) I have posted pictures of the swaps and I added one of the ones I made in the pictures too. Who can pick out my swap?? Greetings to you!! What a great day. We had a little heat wave this last week and today it is quite pleasant outside. I think today the family will have some kind of fun outing. 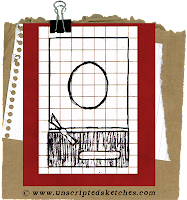 Ok, before I get ready for the day, I wanted to share with you the card I made for the "Unscripted Sketch" Saturday Morning Challenge" Stop by their site..they are a fun group. I tweaked it a little and did not put a sentiment, instead and put a Peek a Boo frog. My frog is super glossy, but the picture did not pick that up. My castle is very textured with micro tiny glass beads and really give the effect of stone. My flower is a combination of Vintage broken jewelry. In a future post (or maybe video) I will share with you my vintage jewelry collection. I hope you had a chance to check out my first "Prissy's Tip Clip" I watched it back and had to laugh...I was so stiff and nervous!! What a goof ball. Thanks for all your comments.I have been asked by many about my card techniques and am happy to share them in these Mini Shorts. I know there are so many wonderful videos out there, and by no means am I trying to compete. I just think it is easier to explain something through a video. I plan on spicing them up a little with my true personally and truley wish you will take away something from them that will help you with your own creations. My next Video is in the works. 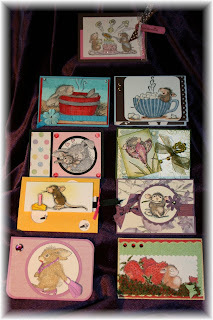 I should start a to do list....I still have to do the Top 10 Fav's and I am going to post my ATC Swaps that I just got. 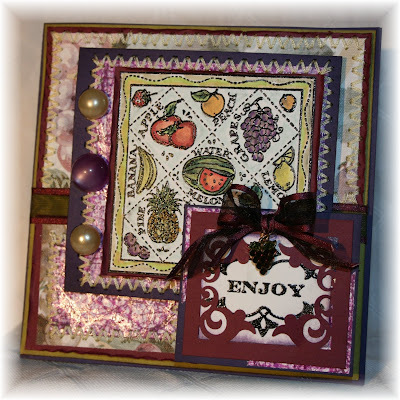 I was honored to have co-won the top card pick of the swap..yay!! :) Ok, I will hopefully post again later tonight..Have a great Sunday and remember, while you are out and about today - Smile at a stranger...It just may make their day! Oh, Last thing….If you do watch the video, all I ask is that you PLEASE leave me a comment & let me know you're watching and what you think. Thank you so much for stopping by and for joining me on my journey!! 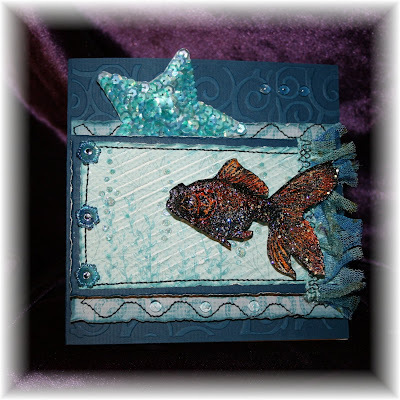 Fish Card created for the "Prissy's Tip Clip"
Background paper was embossed on a cuddlebug, then lightly sanded to make the texture pop. I would like to share a couple of cards that I have been working on. My first one is the Gesso Resist Challenge (TLC217) I really struggled with this one & I really did not get the technique down, I didn't have Gesso, so I improvised. Well, I sure had fun trying! Here's some information from SCS regarding Gesso: Gesso is an art supply used as surface preparation or primer for painting, gilding, and sculpting. Its origins are uncertain, but gesso is believed to have been developed in Italy, since the word gesso is Italian for 'chalk'. 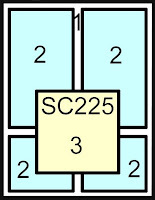 Preparation varies according to intended use, but usually consists of mixing glue with plaster, chalk, or gypsum. If you take a close look at the background print. 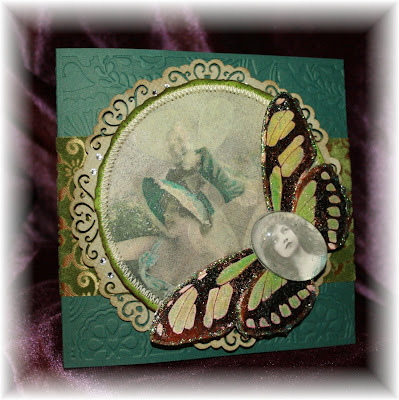 You can see where I stamped solid butterflies, clear ebossed them & then shaded around the edges. It is very faint, but still a cool effect. I finished it off with a wonderful piece I got from Jessica Brown. 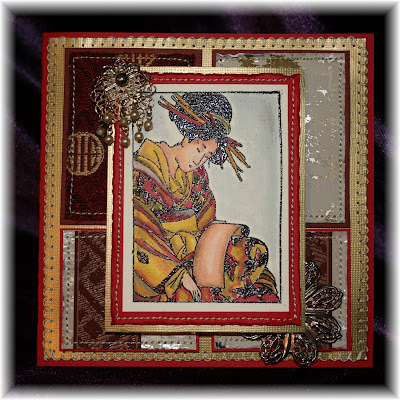 The above Asian style card was today's SCS Sketch Challenge. I hope I did it justice. The image is embossed and then, of course painted with my new Copics. Embellished it with some broken jewelry from my stash. I still have to finish off the insides and make up envelopes for them, but I really wanted to get them posted. If you like my work, I would love for you to follow along on my creative journey. I have so much to share, I wish I could do this stuff 24/7 but I have those little ones to look after. Shoot me a comment and let me know what kinds of things you would like to see from my blog. I have so many ideas, I am not sure which direction to go next, so Please leave me a comment with your thoughts :) Hug someone a split second longer today!! My little Girl's "Funny Face"
Hi everyone, I know this is REALLY SILLY, but it is only just a TEST! :) I am going to start my "Prissy's Tips" soon and I want to do them via video. I think It will be much faster and easier to understand. What do you think? The following video is of my daughter a couple of years ago...she is so darn cute...she would always do these cute funny faces. I was able to catch just a little one on tape. It always makes me smile..they grow up so fast..oh the love we have for our own is so strong huh? It is short but sweet..she has a little scream at the end, so you may want to MUTE LOL. Hope it at least gives you a smile. 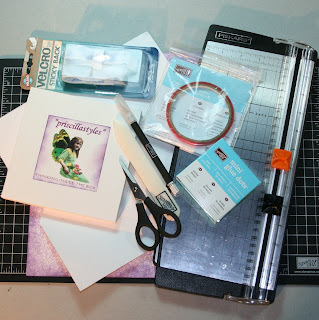 Anyway..stay tuned..I am working on those helpful tips, tutorials and card samples. This is what I would like to share with you today. I am loving those Copics! Had to do this Dragon stamp I just got. How do you think it turned out? I thought to myself..how perfect to really test out these Copics. Oh, you can click on the picture to enlarge, or If you want to see this card in it's entirety then just click HERE. Another little bit of info I would like to share is, along with my tutorial series, I am going to start a couple ongoing post series. The first one is called "Prissy's Tips" They will be "Mini Short Tutorials" short but sweet posts that include fun card making/craft tips. The other one will be a post that features another card artists work. 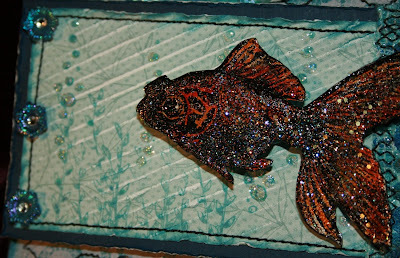 I am just amazed at what some of these artists are coming up with and I would love to feature their work on my Blog. If you are working on a special something, or are especially proud of a project. Please feel free to post here or email and let me know. You may just be my next featured artist. Ok, I am off to work on my newest envelope design. Don't forget to tell someone you love them today. 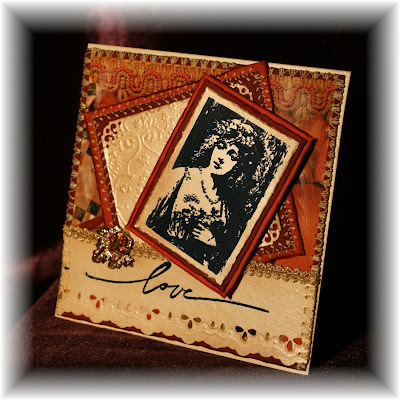 "Thick Style Basic 6"x 6"x 3/4"
Using the provided template, trace and cut-out card stock. 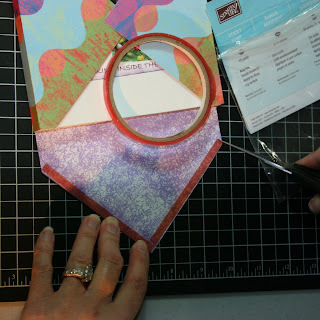 LIGHTLY score the inner side of the envelope, from V to V, all the way around. Make an additional 4 scores from your original score. (See template lines.) HINT: Always use light pressure when making scores being careful not to penetrate your card stock material. Using a bone folder, following the score, make nice crisp folds. 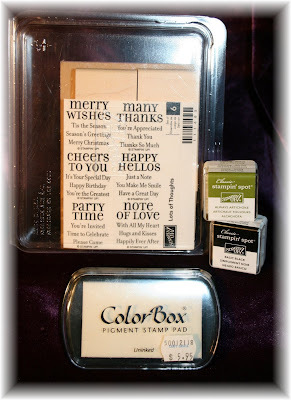 Center the “Thinking Inside The Box” block tool on the envelope. Place two mini glue dots on the inside of one of the outer flaps. 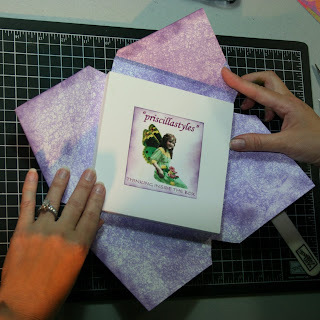 Making sure your “Thinking Inside the Box” block is centered upon your work, align edges and connect the two outer flaps to the center. 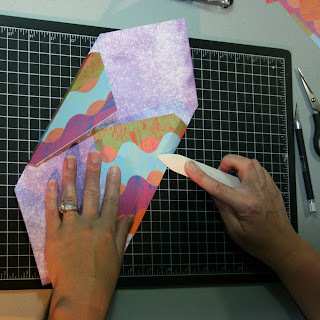 Attach two long strips of Sticky Strip to the lower flaps outer edges. 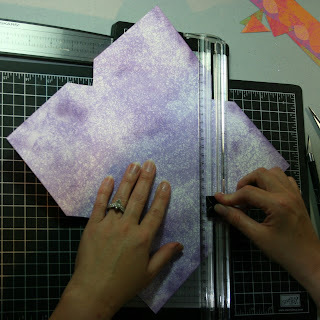 Center aid, remove backing and fold up to the center by pressing down with pressure. Due to using the block, the corner should meet perfectly in the center with the other flaps. Cut desired size of Velcro and attach both pieces together. Remove the backing from ONE SIDE only and place the exposed adhesive side to the top corner flap. 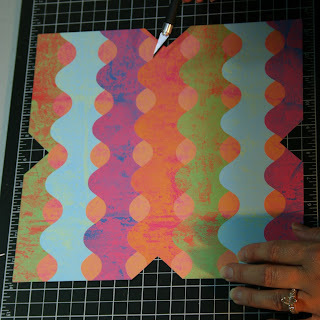 Remove the second adhesive backing, lower the flap – aligning it to the center – and firmly press. Pull the Velcro pieces apart and cut off any excess Velcro material. 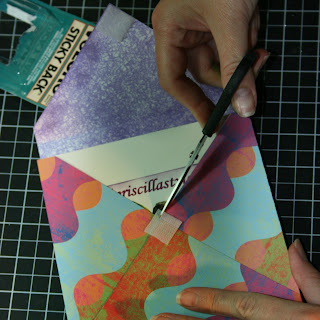 Embellish your new custom-made envelope as desired. 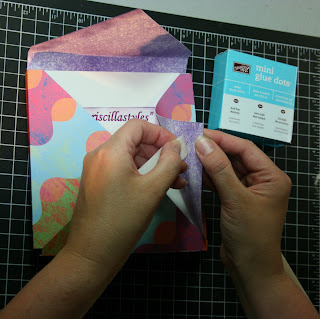 Be sure to use aggressive adhesive practices to insure that your embellishments are firmly anchored when your envelope is opened and closed. Please feel free to leave me a question or comment. And the WINNER is....... LISA L.
Lisa please email me with your mailing information ASAP. Happy Monday everyone, I hope you had a wonderful holiday weekend. I am home now and have a ton to do. I just had to do my Mojo Monday Sketch Challenge and get it posted before I started on the unpacking and laundry. HA!! anything to prolong work huh? Well, I hope you like my interpretation of the sketch. I pretty much stuck to it. I wanted to keep it quick and easy this morning. I got to use the image I started before I left for the weekend. 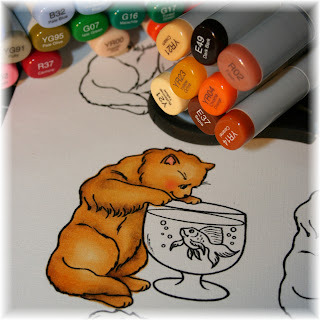 It was the very first image that I colored with my new Copics. Let me know what you think and I will check in later for an update with more details. Have a great day :) ...... trotting off to do housework. OMG I just noticed I forgot to put a sentiment!! Only a few more days till the winner of my blog candy is announced. You still have time to ENTER. 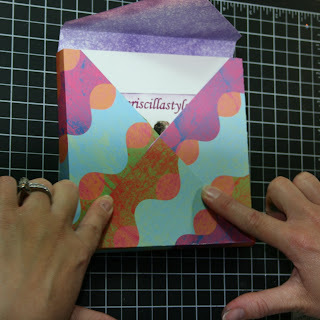 My box style envelope pattern download and tutorial is almost ready. Copic~Copic~ and some more Copics!! Hello everyone . Today was splitcoaststamper’s sketch challenge (SC223). I had a lot of fun with it. I tweaked it just a little, because I am having so much fun with the Vintage Print Collage Fairies I have been doing lately. This card was inspired by the sketch, so I would like to thank splitcoast for that. 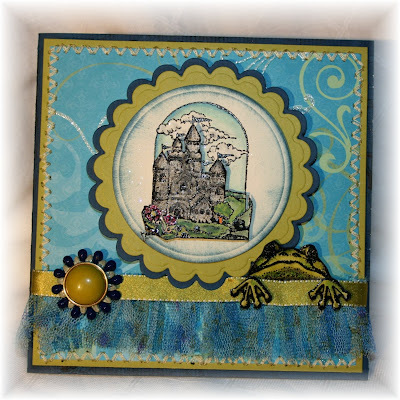 To make this card, I raided my notions drawer and found some blue pillow trim. 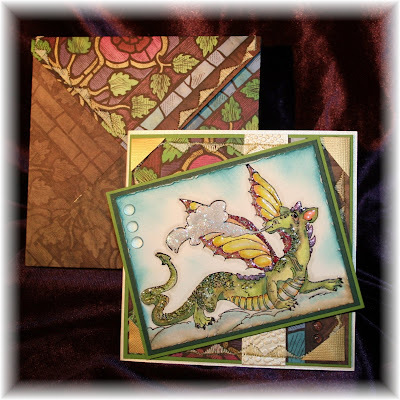 I decided to edge the center box (#3) with it after embossing the cardstock. With a little detailed blade cutting, embellishing the wings on the fairy, adding on some rickrack, flowers and rhinestones, this is what I came up with. Please leave me a comment on what you think of it. Also, just to let you know, my husband and I are working out the details for my Basic “Thick” envelope tutorial I will be doing soon. 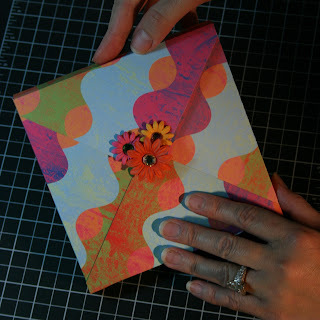 Here is an example of one of the "Advanced Thick Envelope" that I will be featuring in this series. Just click the ebay icon on the top right. I have a little surprise for my followers. My husband is really good at creating documents and has agreed to make up an envelope pattern for downloading. So, if you are not a follower, then jump on the bandwagon, because you won’t want to miss the detailed description and pattern coming soon. Plus, I have one more thing to share with you. 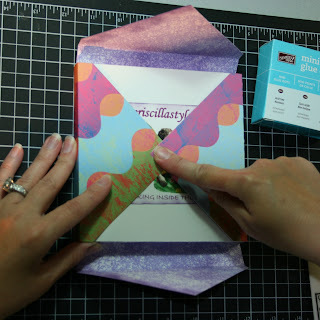 It is a special tool that has been a big help to me while trying to line up the sides of my envelopes for that perfect flap over. There is nothing more frustrating than trying to get it just right and your envelope ending up lopsided. This tool is guaranteed to help prevent that. All will be revealed in a few days, so stay tuned. Subscribe, follow, link, comment on my blog candy post and you might just win my give a way. Thanks again for stopping by and be sure to leave me a comment. Hey, don’t forget to tell someone you love them today! 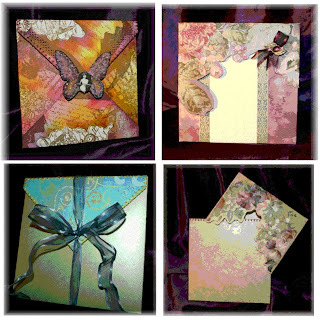 For Detailed look of entire card set CLICK HERE!! 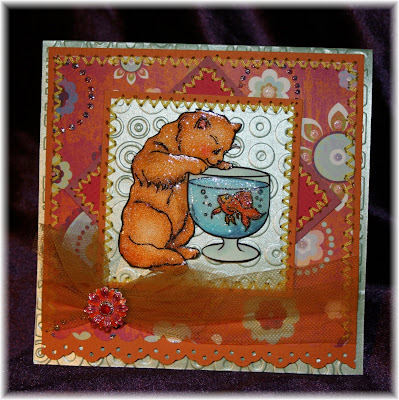 I would like to share with you my Mojo sketch challenge (MOJO81) card that I did today. For an up CLOSE look, just click on the picture. 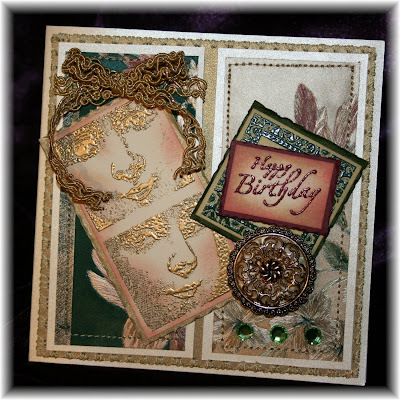 I used multiple layers, metallic textured papers, gold trim, rhinestones and some embossed images. I machine sewed the inside panels and then stitch around the outer edge of the front main card stock piece. 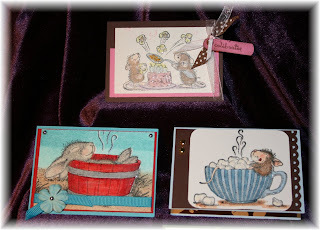 I put Happy Birthday, because you can never have enough birthday cards right? This would be perfect for an old fashion gal's birthday. Heck, maybe I will keep it for myself LOL :) After several requests, in the next week or two, I will be posting a demo on how I make my "Thick" boxstyle envelopes. It will be the first demo of a series that I am planning. I will start with the basics and get more advanced with my demos as time goes on. Please feel free to post any questions or comments. Thank you for stopping by and check back often :) Blog Candy? 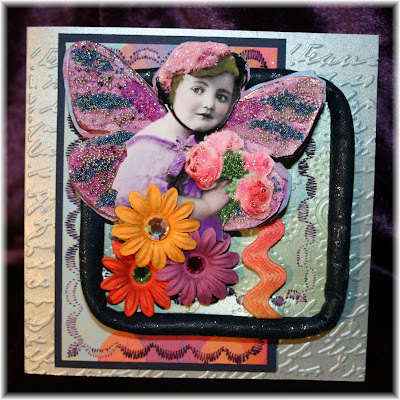 I wanted to share with you a sneak peek of my vintage "Pink Girl Fairy" collage set. 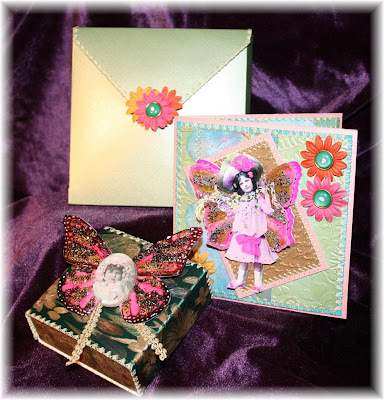 It will be a card, envelope and gift box garnished with a vintage print brooch & will be listed soon. 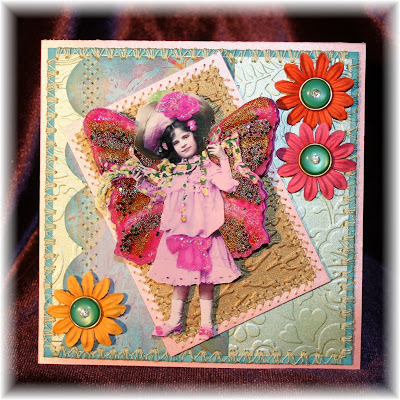 This glossy print is layered multipul times & the blinged out wings are at an angle. The hardware was pain stakingly picked from my vintage button collection. (just click on the picture for an up close look) I am having so much fun with these vintage prints, but do plan on doing some stamped images in the near future. 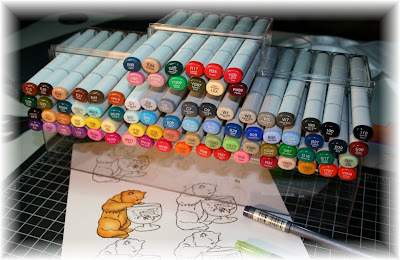 I am very excited because I have a set (84) of Copic Markers on its way to me. What fun I will have with those. The rest of this set will be posted soon, but what do you think of it so far?